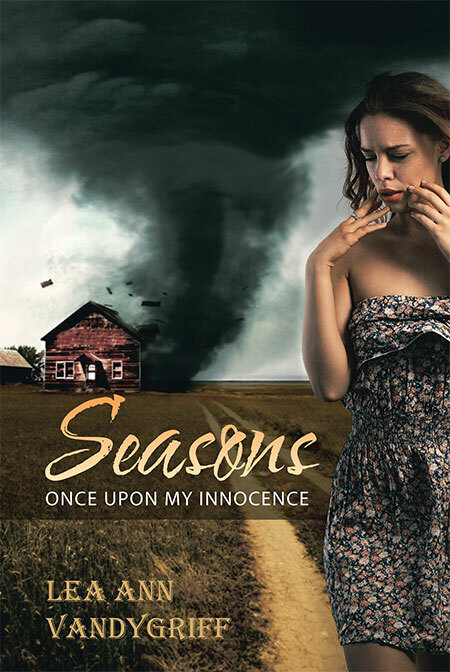 In Season’s we explore the loss of innocence when adversities hit a little southern town. We often ask, where is God in all this? What happens when you have difficult choices to make? Choices that will affect everyone around you. How do you find answers to why God allows terrible things to happen to good people? How do you feel about God, when His answer to your question is NO? The world around us is harsh and we long to feel safe and special. Perhaps in Season’s you will be able to find that, by one young girl’s journey through innocence lost you can learn to accept, forgive and find comfort in the strength God has given her in some of the darkest days and endless joy that surrounded her life. Copyright © 2017. Lea Ann Vandygrif.